We cared for, loved on, taught and served an average of 175 children between our two campuses from babies through 4th grade during 2015. 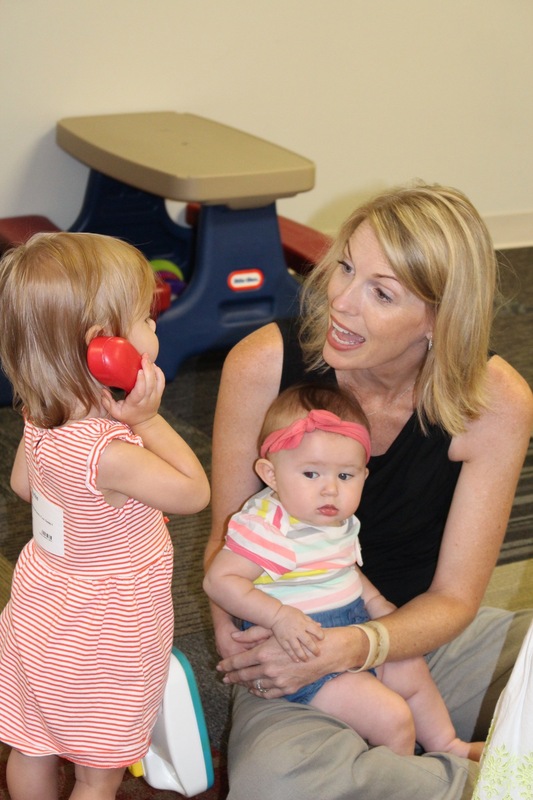 Courtney Tschiggfrie is leading 4OaksKids Midtown, and Shannon Pifer is leading 4OaksKids Killearn with the help of Julia Stake. In May, over 100 volunteers in 4OaksKids at both campuses were blessed with an appreciation breakfast supplied entirely by 4Oaks families in thanks for their dedicated service to 4Oaks Kids for the 2014-2015 school year. Our Mother’s Day and Father’s Day photo booths at both campuses were a fun way for families to share in those special holidays. In June, we launched Summer Camp Sundays at both campuses, our Sunday morning summer programming for elementary age children, which was like nothing we’d ever done before! Rooms were transformed into Camp 4Oaks complete with a campfire to gather around for worship and teaching and tents for small group time. 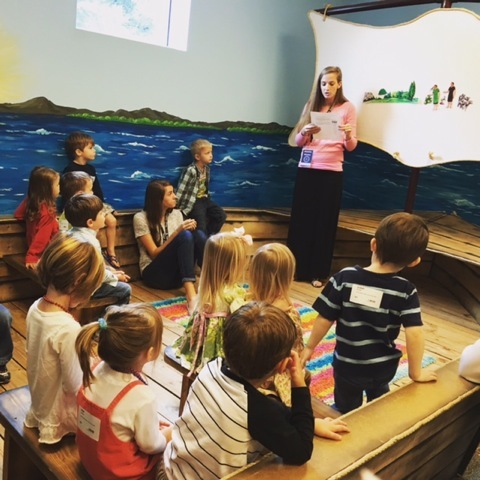 A team of Camp Counselors led our kids in teaching through the book of Exodus, fun worship, small group discussion and journaling, games, and snacks. Also in June, we partnered with Wildwood Presbyterian to put on Vacation Bible School for over 300 children in our community. Our staff and volunteers helped turn Wildwood into “WildOaks Farm” for a week of teaching about the Fruits of the Spirit. Farm themed music and crafts and snacks and games and teaching made for an amazing week! In August, we ended Summer Camp Sundays with a hot dog eating contest, which served as a fun family event as well as a fundraiser for Hailey Scott, one of our Camp Counselors preparing for mission work in China. We had a blast cheering on the contestants and eating hot dogs, and we raised over $1000 for Hailey! Also in August, we partnered again with Wildwood to send many of our 4th-6th graders to Camp Salt and Light. Our Student Ministry staff and several volunteers led our kids in worship and gospel teaching, while having a lot of fun at camp away from home. It was an impactful week in the lives of these children! We began the 2015-2016 school year with a fresh new team of volunteers, nearly 100 at Killearn and 25 at Midtown, ready and willing to pour into the lives of our children for this new school year. God met this need in a mighty way, and we have been so blessed by our volunteer team! We made a major change for the 2015-2016 school year and adopted The Gospel Project for Kids and Students as our new curriculum from preschool through 8th grade on Sunday mornings. This 3 year chronological study of the Bible from Genesis through Revelation teaches our children that the Bible is one great story of God’s plan to redeem His people. We are especially excited to have all of our children through 8th grade learning the same text and same themes, allowing parents to more easily use it in their homes with children of various ages. New décor in the KidPraise room at Killearn helped create a fun new atmosphere for teaching and worship with our elementary schoolers in larger groups! We also provided our kids at both campuses with drawstring bags, magnets, and “passports” that tie into our new curriculum. We have been learning about our Gospel Partners, one per month, using a newsletter produced by Pastor Scott and Paige Reichsteiner. It has been a great way to focus on Missions this school year! Our Christmas devotional written by 4OaksKids Staff contained testimonies from several 4OaksKids volunteers and were a blessing to over 100 families who used them to point their hearts toward Jesus during Christmas week. 4OaksFamily Christmas was a huge success and a lot of fun for our 4OaksKids and their families.